Seven locations to serve you in St. John’s, Mount Pearl, Paradise and CBS. SINCE 2007 COFFEE MATTERS HAS BEEN SERVING MORE THAN JUST COFFEE - WE'VE BEEN SERVING OUR COMMUNITY AN EXPERIENCE. We are focussed on providing our customers the very best - from freshly roasted beans to homemade soups and sandwiches. Our shops are a little different than most chains as we feature down-home Newfoundland hospitality, plush seating, free WiFi and a comfortable atmosphere to enjoy the little things in life. 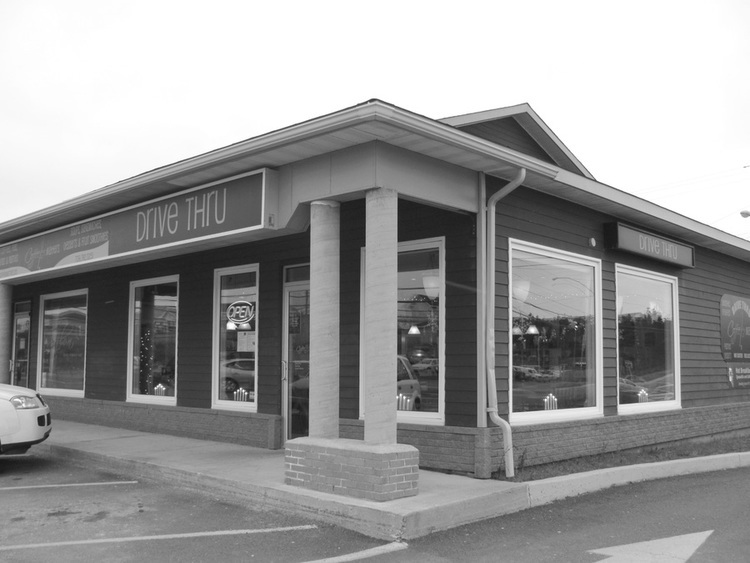 Coffee Matters is proud to offer a full - service dinner option at out Mount Pearl location, 39 Commonwealth Avenue. Enjoy sit down service with the quality, local ingredients you've come to know and love from Coffee Matters. Our fully-licenced dining room is perfect for your next night out, date night or 'just because' evening. Mondays: Build Your Own Burger Night - chicken, beef or veggie $13 or Beyond Beef burger for $14. Includes endless salad bar. Tuesdays: Taco Tuesdays - chicken, beef or fish tacos $12 - comes with side of rice & beans. Add a margarita for $4! Wednesdays: Plated Pasta Night - 3 choices - served with side salad & garlic bread. Prices start at $9. Thursdays: Home Comfort Food Buffet - $14 per person - includes coffee & tea. Fridays: 3 Course Dinner Specials - 3 apps, 3 mains and 2 desserts to choose from, starting at $20. Add a beer or a glass of wine for $5. Saturdays: & Sundays: Brunch Buffet - 10 am - 1 pm. $13 per person. Birthdays are a time for celebration so let us take the hassle out of meal planning and preparation. Our Birthday Menu for the new Paradise Double Ice Surface is sure to take the cake! Download our Birthday Menu or reach out via the form below for more details. Coffee Matters is the exclusive daytime caterer at Manuels River and one of three evening caterers. Our full service catering options can bring the party to you or you can enjoy our onsite catering options, as well. For offsite events, our precooked and prepared food is heated and served at your location keeping space and clean up to a minimum. Be it traditional or something different, elegant or casual, Coffee Matters' talented chefs always deliver with an incredible experience from start to finish. Make sure your event goes off without a hitch and leave your guests raving - call Coffee Matters for your next catering event! ONSITE: Download our Onsite Catering Menu or reach out via the form below for more details. OFFSITE: Download our Offsite Catering Menu or reach out via the form below for more details. Whether you've got question, have a suggestion or just want to say 'Hi! ", drop us a line, we'd love to hear from you.